Mistakenly sent a message which you don’t want to send to your Facebook friend? Worry not, Facebook’s Unsend feature is their to help you out. 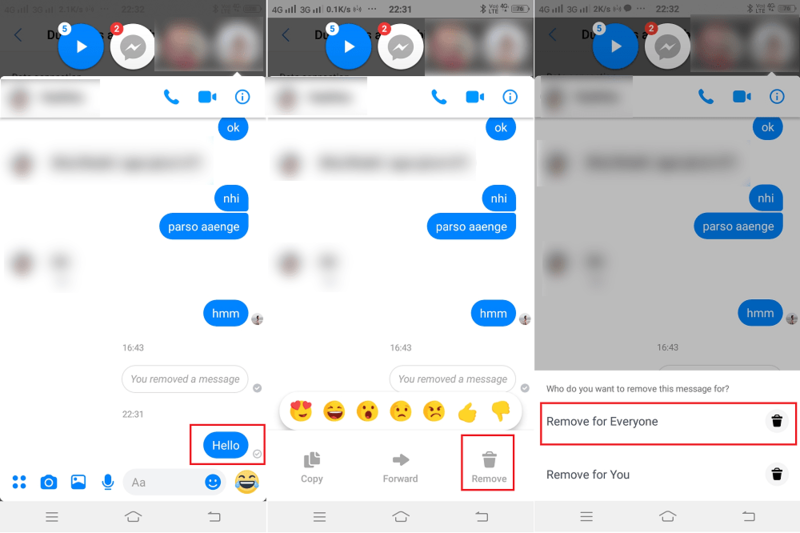 The social networking giant, Facebook has finally rolled out a new feature using which users can delete a sent message in Facebook Messenger. The feature was first revealed in late 2018, at that time it was limited to few countries. But now the company has rolled the feature worldwide. It means people all across the globe will have the option to permanently delete a Facebook Messenger messages from both sides. This is a handy feature, right? But there is a check! After you send a message to your friend, you only got 10 minutes to unsend or delete the message. If you miss, the message will stay forever. After sending a message on Facebook (Which you don’t want to send or sent mistakenly) press and hold the sent message within 10 minutes. At bottom of the screen, you will see a few options including Remove. Tap on it. 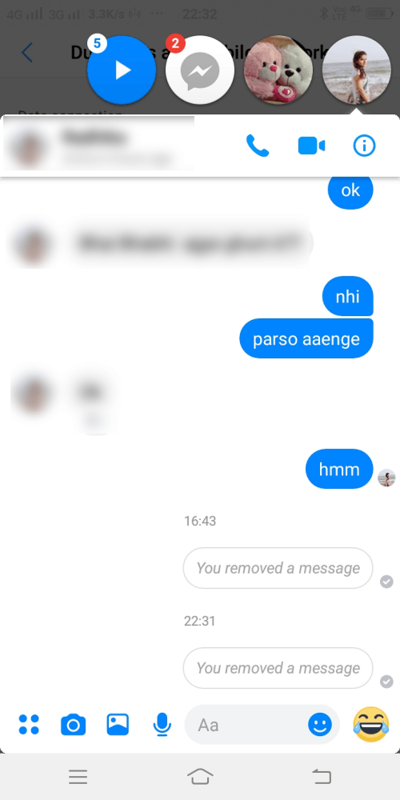 Remove for you will delete the message from your end. Since we want to permanently delete the message from both ends, then we have to go with the first option i.e. Remove for everyone. Once done, the recipient will see a placeholder message i.e. “You removed a message” instead of the original message. This also means that you can’t secretly delete. Whenever you delete a message, the recipient will also aware of your act due to placeholder message. 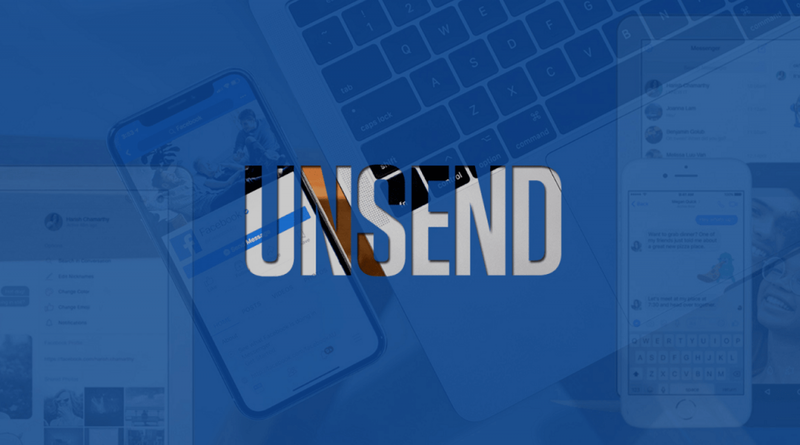 The unsend feature is also available if user use Messenger right from the Facebook’s website. In that case, instead of pressing and holding the message, you have to click on the More icon (three-dots) visible next to the message and select Remove. Again you will be asked if you want to remove for everyone or remove for you. I guess you it very well with what option you have to go with. 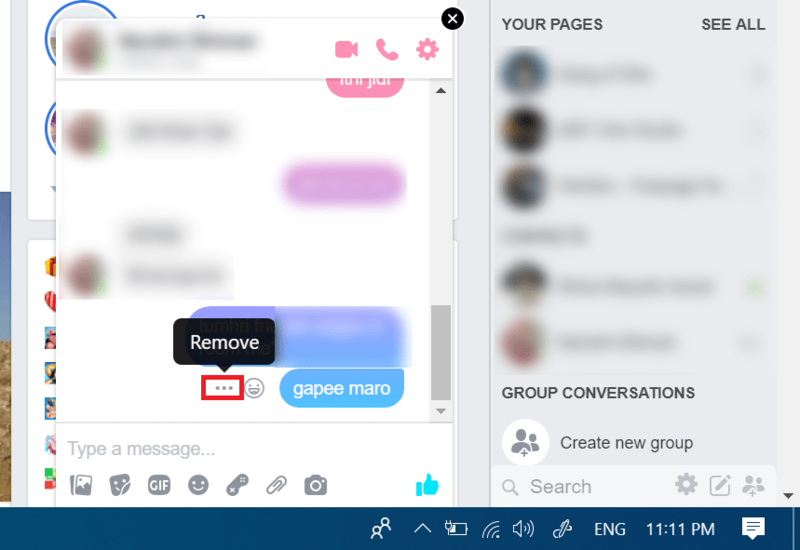 The feature is also available when using Messenger via Facebook’s website. Instead of long-pressing on a sent message, click on the three-dot icon next to the message, followed by Remove. A prompt will show up, asking if you want to remove for just you or everyone. This is how you can quickly delete messages from Facebook Messenger. What are your thoughts about Facebook’s new feature? Do you like it? Let me know your opinion on the comments.